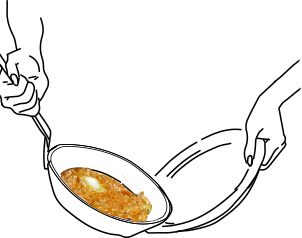 Pav Bhaji is a spicy preparation with a mixture of vegetables, consumed with warm bread gently or crispy fried in butter. Pav Bhaji originated in the 1850s, as a quick fix meal for Mumbai’s textile mill workers, but it’s now a fast food favourite..
A mixture of vegetables, which are mashed with the back of a ladle, or a potato masher, with a rich red-orange colour from the spice mixture. 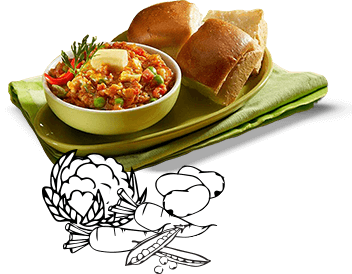 Pav Bhaji is a flavourful combination of spicy and tangy, and is eaten with raw onions, a squeeze of lime and a dollop of butter.